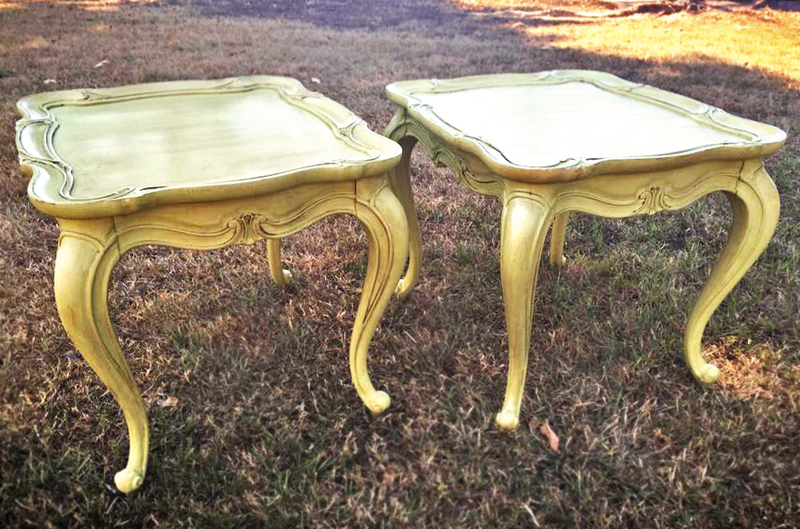 Love Junk upcycled these cute end tables and sealed in the goodness with General Finishes High Performance Topcoat! For a similar look, we recommend our Millstone Milk Paint paired with Van Dyke Brown Glaze! This was finished with SW Sage and Mocha Glaze.